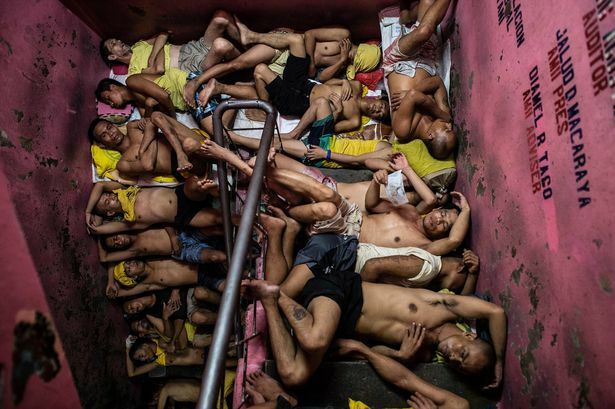 Shocking images show cramped Quezon City Jail in the Philippines . 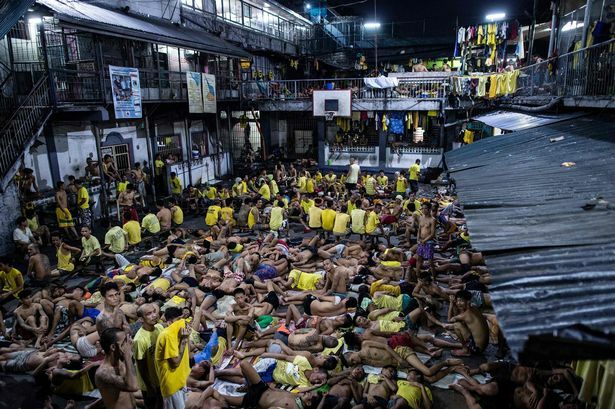 An investigation by Sky News reveals that despite being built to only house 800 inmates ,Quezon City Jail currently has more than 3,000 inmates . 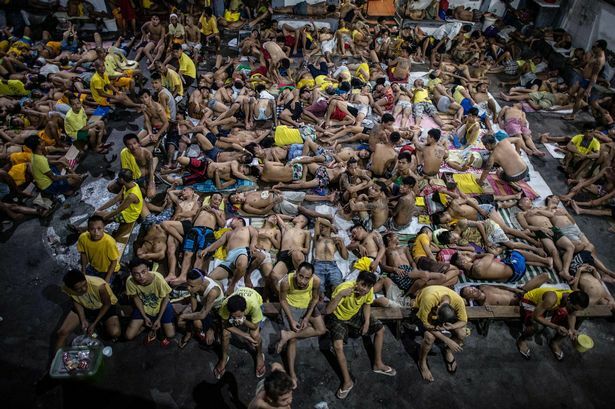 Skin diseases are spreading rapidly in the confined spaces, which can see up to 10 people share a single bunk.After the jail's population went above 4,000 at the height of the over-crowding crisis in August, the warden successfully won a court application to stop receiving new arrivals. But officers at the jail now fear that suspension could be removed as pressure on the country's justice system continues to build. That would be a big problem for us, because they will get sick, they don't have enough space to sleep. 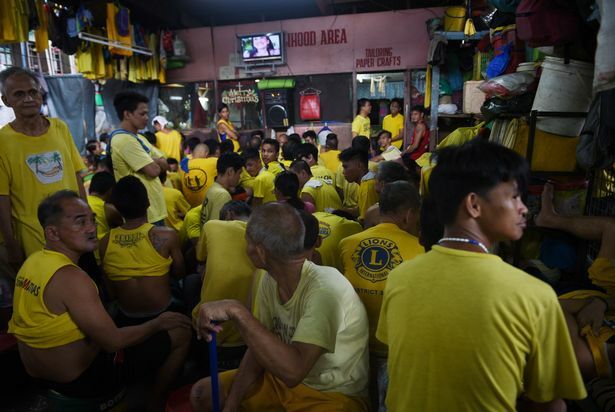 They don't have enough area wherein they can move" said jail officer Lucila Abarca. "Most of the inmates here are not visited by their families, so they just have to be content with what is provided by the government, which is not enough", she added. 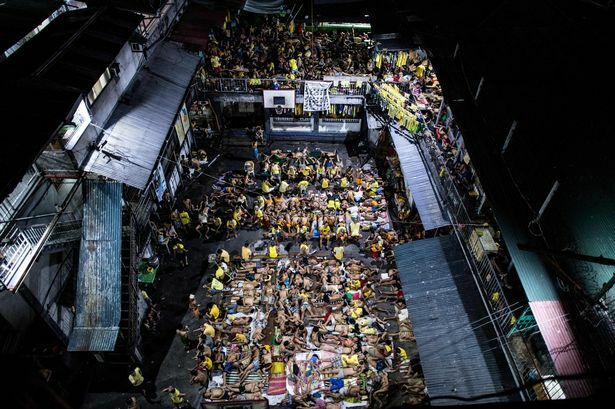 President Rodrigo Duterte''s crackdown on drugs has seen more than 40,000 drug-related arrests since July but the impact on jails has meant many inmates are forced to sleep in recreation areas as there is no room whatsoever in cells. More than 130 people sleep in cells built for no more than 30.Lying side by side, the criminals do not even have enough room to stretch out.